The entire journey towards an entry in a B-School is nothing less than a battle where millions appear from every part of the country to prove their mettle and ensure their ticket to a career full of recognition and rewards. As the seats are limited and the number of candidates applying run in thousands per seat it is anyone’s guess that every stage has to be handled with utmost care. While the written format of any examination is given its due importance, the interview and subsequent panel discussions cannot be ignored by any stretch of imagination. For those who feel that clearing a written examination signifies the battle won, the truth being told it is only half the job done. There are several examinations that have different parameters and weightage attributed to the selection processes but few handy tips for interviews are more or less common across the board. We all carry our baggages from our childhood, it is something which we have stayed with and it is important at this stage of life to at least get a sense of direction in which one aims to move in. There is no denying the fact that sometimes people who have spent a decade or more in a profession, later realize that their true calling is somewhere else, but at the interview stage it is important to have a vision about your future. It should be true to who you are and what you want to do with your life in the present circumstances. One tip while creating such vision statement is that the individual concerned (i.e. YOU) should be convinced about the plan and rest can be taken care of. Yes this is something which all of us have dreaded for the longest time and even at this stage it will continue to haunt us. The aforementioned was stated in lighter vein but all B-Schools look at a well rounded candidate who is aware of his / her surroundings. Don’t worry there will be no questions on capitals or currencies (if you are lucky) but the questions will more or less revolve around the current socio/economic/political environment, and the panel will only be interested to test your basic awareness and opinion on the same. interest might just make the cut. The first question invariably ends up being: Tell us something about yourself? While this is a generic question it is important for the candidate to be well prepared with the answer. There is no need of feigning facts, but put across anecdotes, share your failures, ones learning’s from the failures and moment of triumphs in a subtle yet effective manner. This shall display your communication skills and also show honesty in accepting mistakes and then showcasing the ability to quickly learn from mistakes. 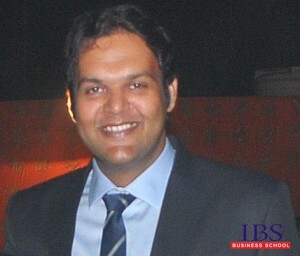 Yes an interview for B-School is as important, if not more important than your job interview. A candidate should be dressed immaculately, have the requisite credentials ready, and appear for the interview with a goal of clearing it with flying colors. While a candidate may have multiple B-School options at ones disposal, every interview should be approached with a willingness to convince the panel of one’s credentials. While the above mentioned tips were suggested to us during our preparatory stages and it surely came in handy the experience of appearing at IBS Hyderabad for an interview was a seamless process. However that was only possible by preparing in advance for the D Day and guidance from the institute. As a starter I ensured that I reached Hyderabad 24 hours (minimum) in ahead of my scheduled interview and checked in at a hotel which was closest to the boarding point of the shuttle service, provided by the institute. A light dinner followed by an early morning wakeup call from the hotel staff ensured that I reached the shuttle boarding point in time. Once we boarded the bus, it was an auto pilot mode as the immaculate and detailed planning from the faculty and staff from IBS made our interview process smooth. We were shared a detailed plan and with the support from the friendly faculties and staff spread amply across the sprawling campus there was no chance of any slipup. As the extempore round got over we were sent in batches to our interview panels and it went through like breeze and in no time we got our results and the rest as they say is history. So while we prepared thoroughly for our interview and discussions round the institute ensured that with its immaculate and detailed planning the experience was made even more memorable. It could have easily gone awry with any minor slipup but the comfortable process ensured that that we were in safe hands and gave a brief insight to how the affairs are managed at this institute of higher learning.